Dear Sergey, thank you very much for dedicating your time to this interview. We would like to start from the overview of your company. Could you please elaborate on the story of its creation and the team? Perhaps the story of my company is not something extraordinary. Me and my partner, at that time two students of a technical institute in Ukraine, had an idea, knowledge and were passionate to grow in the interesting for us direction. We founded a small IT company. Of course in the beginning of our business we faced certain difficulties, perhaps as many other companies. My partner decided to join a large company and I remained devoted to my own business, and already soon I was able to reap the rewards of my endeavours. I was defined that I had to run a small company with a narrow specialization, as I preferred to go into tiniest details of it, which is not really possible in the companies with big staff. Thus in 2006 a small IT company OSEN was established. We spend a lot of time on professional development of our employees. Our strategy was not to grow in quantity, but rather in quality of our services. Soon we had a lot of customers and enlarged our team, which today totally counts 12 specialists. That makes sense, Sergey! Could you please describe what does your company specialize on? 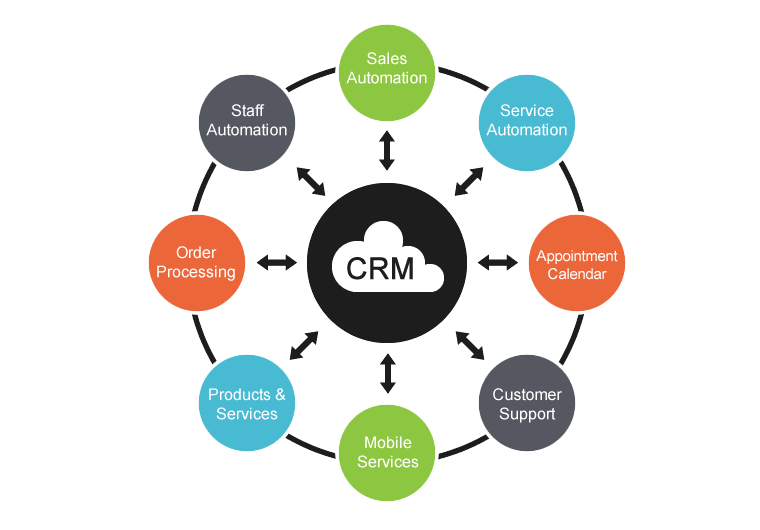 Our core, but not the only, service is development of web solutions with the elements of CRM systems. In parallel with it we develop not very complicated from the functional point of view corporate websites and online stores. As a rule we realize the program part and layouts with the usage of graphic designs provided by the customer or templates. We have a huge experience of entering readymade projects and their subsequent development takng into account all the details. OSEN has a special department that handles realization of marketing tasks: general analysis of themes and choice of the promotion strategy depending on the market and budget, SEO promotion, context advertisement, work with social networks and promotion of the YouTube channel. We create what we call it "boutique website development" – a solution totally customized for the needs of our client. Our projects are unique and most likely won’t be repeated by anyone, as they have a very narrow specialization created for the most fussy customers. Our company can handle all the amount of work connected with development and promotion of both informational and functional parts of the web source. Apart for giving the general data about the company, principles of its operation and products, the website wil provide the whole complex of interaction among managers and customers and automize management of finances and product functionality to a maximum extent. Let me tell you about the process in general. The customer requests some IT company to create a website for his needs. At this stage the customer communicates with a specialst who accepts the order in the company. Usually these employees have quite a low professional qualification. Already here a customer feels awkward to explain all the smallest details of the project which he doesn’t even understand himself and loses a lot of time checking the progress of his project frequently. Our company can promptly understand the customer’s project and offer him a lot of examples of ready solutions. Usually when we show our customers the technical specification of their projects, they don’t even have what to add! Thus we save a nice time gap for our customers, which they can effectively use for their business. We often joke telling a customer, that he just needs to close his eyes and imagine his future website and its functions – we will do the rest! Sergey, what were your recent projects? Please kindly share some examples. Our customers are from different spheres of activity. One of the examples is American Green Power Corporation. It is a privately owned Export Trading Company (ETC) based in Washington, DC and specializes on support of U.S. manufacturers of renewable energy equipment and systems by researching and developing export markets in Eastern Europe. We created a corporate website for this company. Perhaps one of our brightest examples is SPINOFF.COM platform. At first sight it may seem that it is a simple downloader for articles, however it is not. The website was developed as a boutique project strictly corresponding to the ordered design and functionality. It is very unlikely that some IT development company will copy this project ever. We always advise our customers to try already existing solutions for their needs, and customize them if needed. This will help them to save time, which they spend on thinking how their order must look like, create it and then it won’t meet the expectations in the end. Of course! If the project is really interesting and promising – why not? Sometimes the project absorbs us so much that we think about it day and night without extra payment. Otherwise we shall not achieve an excellent result. We always believe that while we are doing a project we must become its fans and feel it better than the customer. Also we offer discounts for the projects, which we continue to service after their completion. Sometimes we deal with very small companies with a restricted budget. Even if they can’t afford development of the customized website, we can always offer a ready solution which will cover at least 70% of their requested functionality and it will cost several times cheaper. Dear Sergey, SPINOFF.COM founder, our team and I would like to express gratitude for the interview and all provided information. We are happy to introduce you and OSEN IT solutions to our partners and Spinoff Founders worldwide.